While complaints about Energy aren’t heavy in magnitude, they aren’t exactly unjustified either. For one, there’s a lack of consistency about where their horror influences go, whether it’s darker and gothic or in a more lighthearted, cartoonish direction. That was the main issue with their album Apparition Sound released earlier this year, an album that showed the Boston punks having a knack for some killer hooks, but also an unclear focus for how to maximise them, and given how their overseas breakthrough has largely been thanks to their proximity to Creeper, accusations of Energy being a lesser imitation can be seen hanging in the air. And indeed, very little has changed on new EP Under The Mask, except given the tighter confines, the inconsistency is even more noticeable. As much as the ominous knells that herald The Witching Hour or the Avenged Sevenfold-esque guitar work of the title track might suggest a latent desire to go for darker material that embraces their horror elements to better effect, that’s almost immediately ethered by I Killed Your Boyfriend, the sort of deliberately schlocky cut plastered with a permanent smirk that could have Rob Zombie’s name on it if it only had a bit more industrial crunch. But the thing is, Energy’s command of melody and vintage pop-punk sensibilities means they circumvent most major problems almost entirely. A Prayer For Rain soars after the EP’s story interlude, there’s a creeping hard rock edge to the title track that builds some real tension, and as ever, vocalist Tank has the sort of sweet, clear tones that contrast in the best way possible. There’s a lot about this EP – and really Energy on the whole – that’s likable, if not necessarily life-changing or revelatory. It doesn’t feel like Energy are even trying to do that though. Just putting Under The Mask next to their previous release sees it as more of a continuation than any drastic overhaul, and for now, that’s absolutely fine if they can maintain a high enough standard. But that does beg the question of how far Energy can take what they’re currently doing; after all, none of the issues from last time have been rectified here, and the band are more or less just spinning their wheels here. Still, Under The Mask does have some charm regardless, and that’s the most crucial thing needed to keep Energy in the black for future releases. 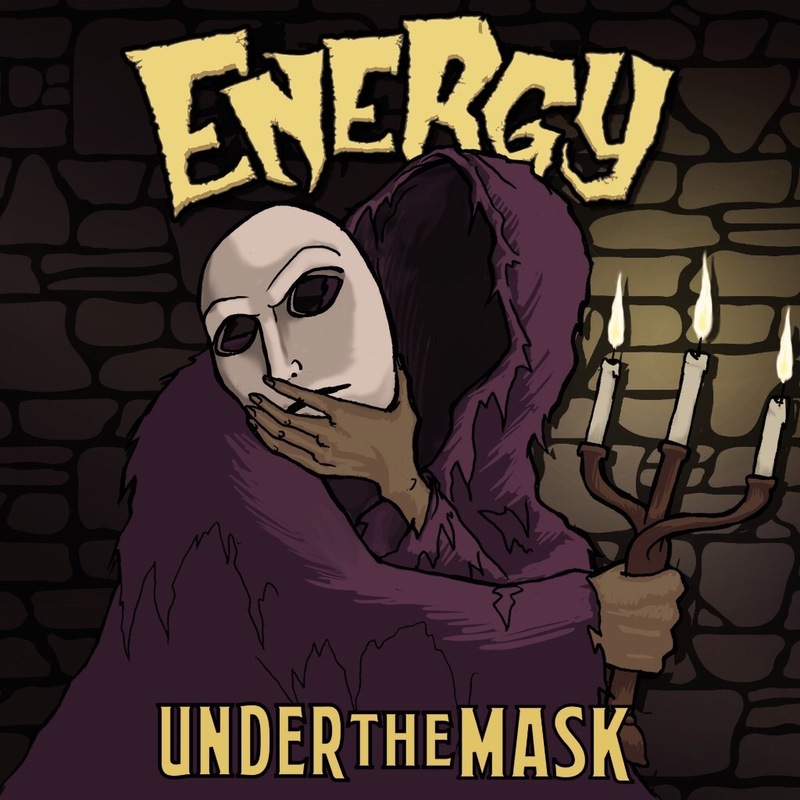 ‘Under The Mask’ by Energy is released on 21st July on Shadowland Productions.